The Product Manager represents the voice of the customer and business stakeholders (such as Business Owner and Business Sponsor) to the entire value stream or program (in a program-based organization). This includes writing the top-level descriptions of Capabilities that need to be created to deliver value to the customer and stakeholders. The Product Manager also passes strategically-important development feedback to the business stakeholders in case they can adjust their capabilities plans to reduce costs/impacts, without hurting organizational goals. 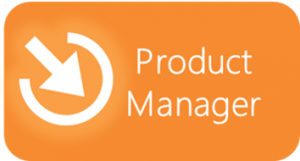 Explore this role further in the Product Manager Reading Path.